Come join us for one of these volunteer days! 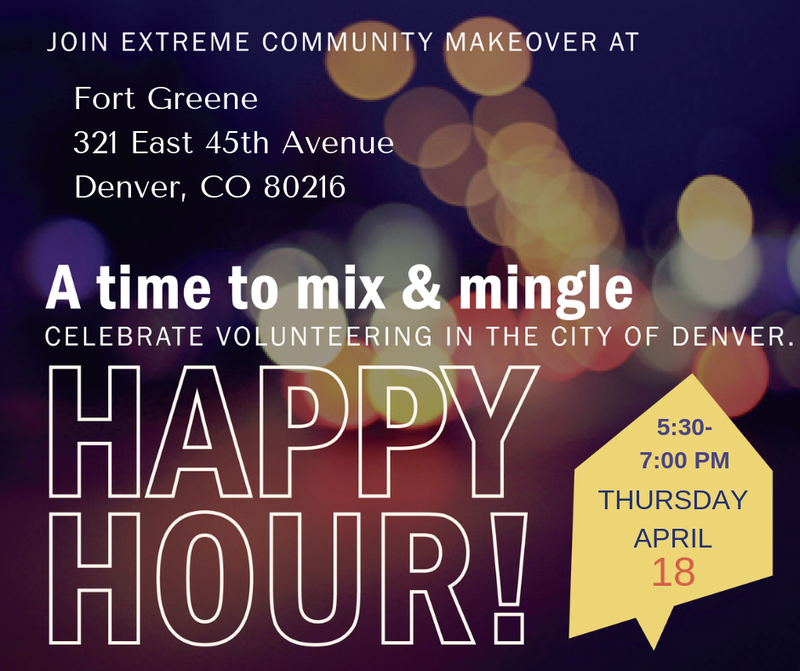 Our next Volunteer Happy Hour is coming up on Thursday, April 18 from 5:30-7:00 pm at Fort Greene in the Globeville neighborhood. 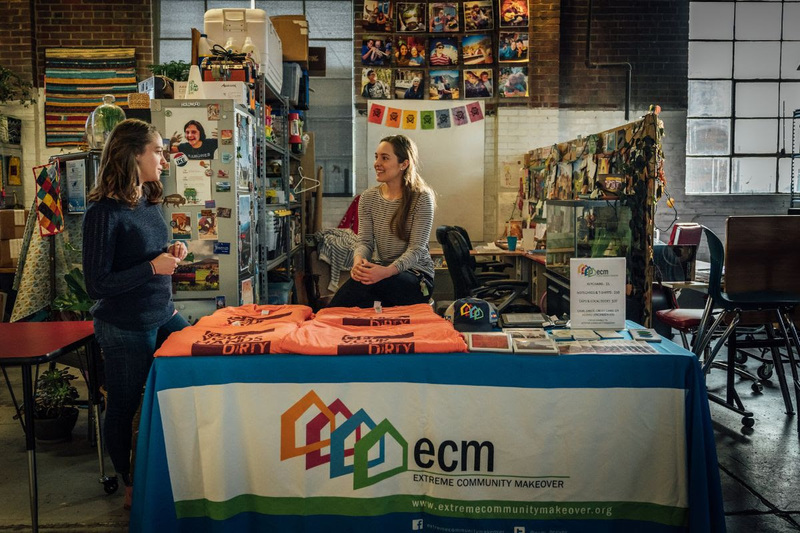 Come to learn more about volunteer opportunities and how to get involved, while connecting with others who like to volunteer. 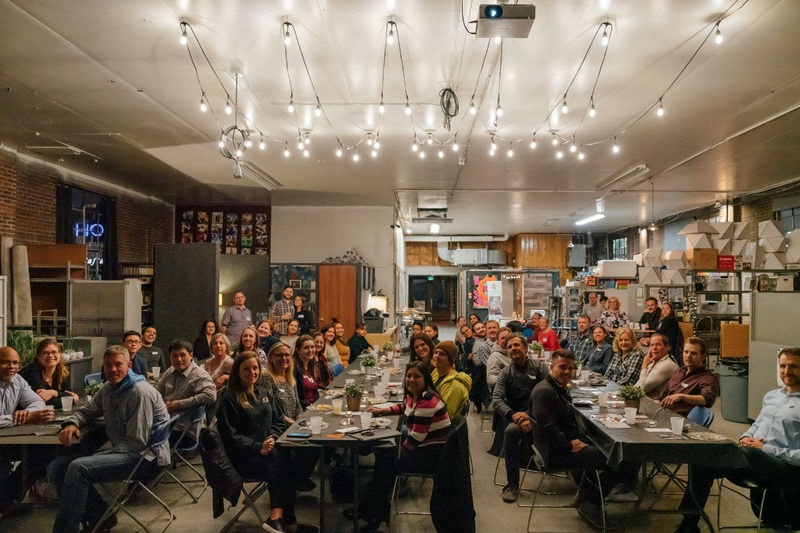 Thank you to everyone who came to the Spring Kickoff last week! 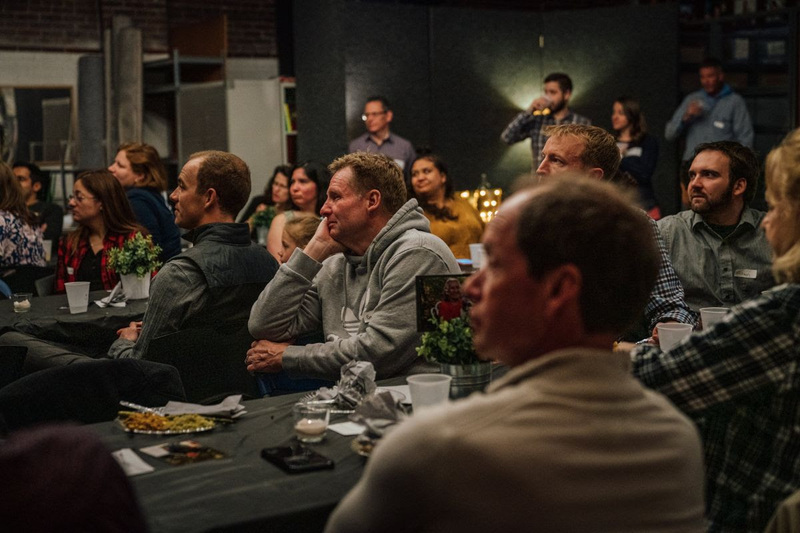 We had a great time at Converge Denver enjoying Coyote Gold margaritas, delicious food from The Preservery, and learning about ways to get involved in Extreme Community Makeover this year. 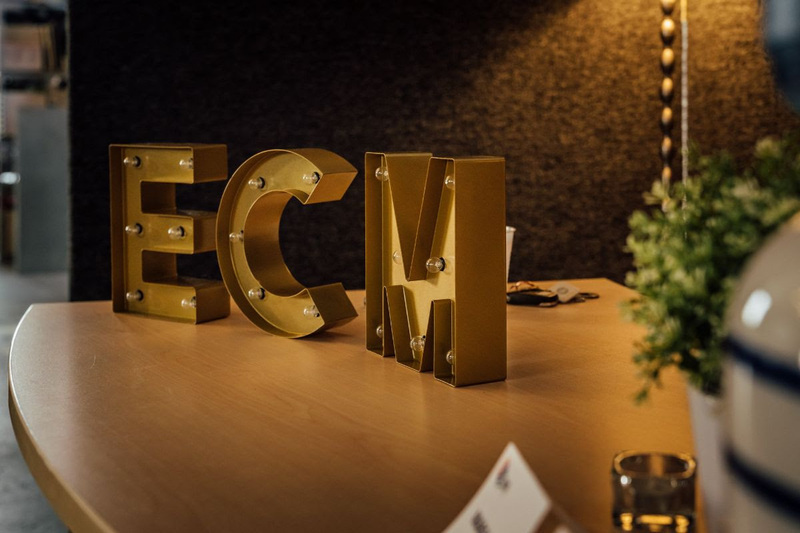 Check out the pictures from the event here. Thank you to Heritage Title Company for sponsoring the event! Join others for the day to assist with outside home or neighborhood improvement projects! To register as a group, click here. Join one of the ten Extreme Teams to use your skills to make an impact! Do you like happy hour and volunteering? 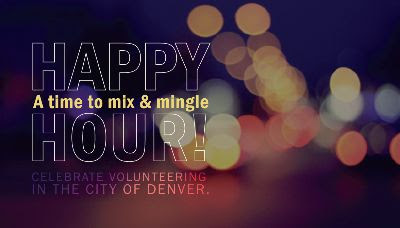 Join us at one of our monthly volunteer happy hours! We also have other events that we are hosting this year that you can attend!